In a rare turn for an insect threatened by climate change, the quino checkerspot butterfly has fluttered into a more hospitable habitat. Facing warmer temperatures and shrinking scrubland, these butterflies have moved to cooler, higher climes in Baja California. There, the endangered insects feed and lay eggs on different types of flowers than they had before. A quino checkerspot butterfly perches on a flower. The butterfly's tenacity comes as a happy surprise, says Plymouth University biologist Camille Parmesan, who spoke at the Butterfly Conservation Symposium in the U.K. this weekend. 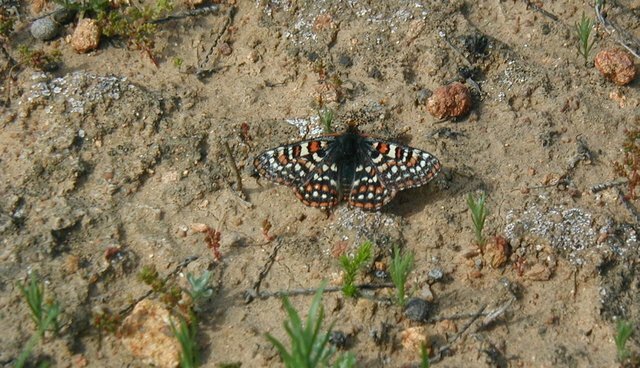 Other species have changed what they eat or where they live, but the quino checkerspot may be the first butterfly to do both. "Every butterfly biologist who knew anything about the quino in the mid-1990s thought it would be extinct by now, including me," Parmesan tells The Guardian. What's remarkable about the butterfly's change in habitat, she notes, is that it came without human assistance. 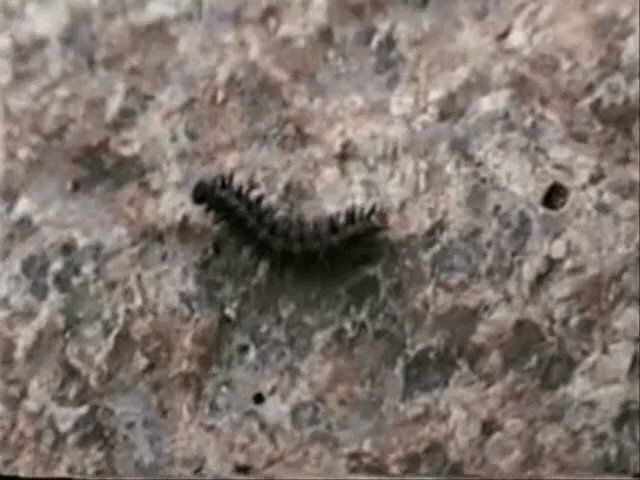 The caterpillar stage of the checkerspot butterfly. 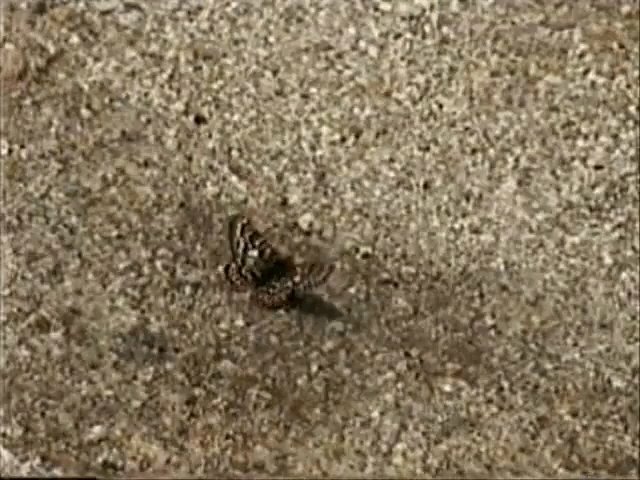 There are eight groups of checkerspot butterflies left -- and only about 5 percent of their original habitat remains -- in a small area of land on the border of California and Mexico. And as the U.N.'s landmark report on climate change noted last month, small tweaks in temperature have have dire effects on wildlife. 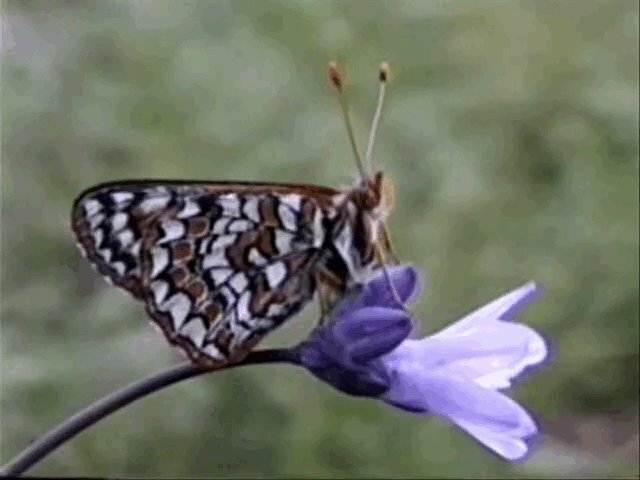 Although the butterfly's move offers a glimmer of hope for the species, it also highlights the importance of preserving what habitats remain, Parmesan says. "We have to give these species the space to adapt."